The asa-no-ha (hemp leaf) is a simple and ancient design that has remained popular through the centuries. The hemp plant grows straight, so in the past the pattern has often been used in children’s clothing to encourage their healthy growth. 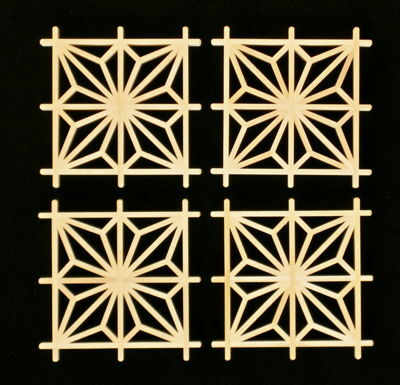 In Japan it has been used in weaving, dyeing, traditional paper manufacture, and, of course, in woodworking, and in particular, kumiko art and craft. 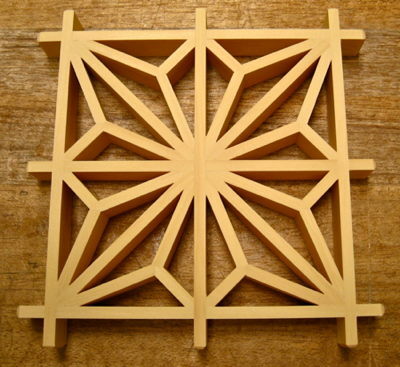 This attractive pattern can be used in both the vertical and horizontal kumiko design (this is the square asa, or kaku-asa), and in the diagonal kumiko designs (diamond, and three-way joint). The four methods of cutting this pattern are described in detail in Book 1 and Volume 1. 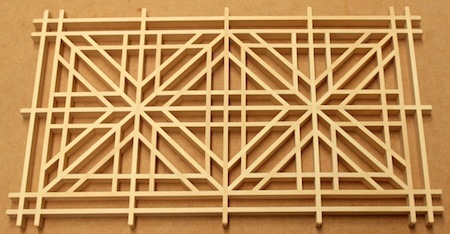 This and the next pattern—the goma-gara—are the classical kumiko patterns. 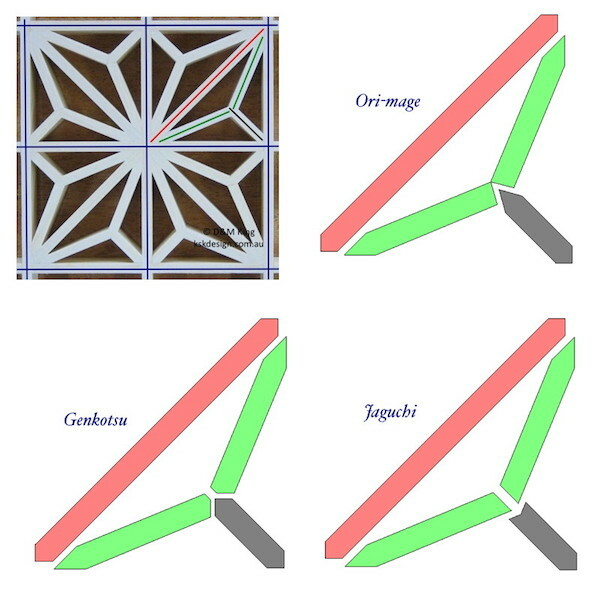 Image 3 shows the different kumiko pieces that make up the pattern, and the different ways it can be cut and joined: ori-mage, genkotsu, and jaguchi. The following is a video I made for YouTube showing how to make an asa-no-ha coaster. 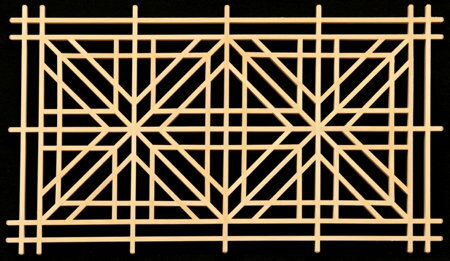 The goma-gara (sesame pattern) is, along with the asa-no-ha, a popular pattern used in highly decorative shoin-shōji. It is also perhaps one of the more difficult of the square patterns.